Historically, just about anyone could join the armed forces. Recruiters weren’t overly concerned with the condition new soldiers were in or the education they had received prior to enlisting as long as they met the basic health requirements. Military personnel trained new recruits to do specific jobs and whipped them into shape at boot camp. However, all of that has changed in the last ten years. As American forces in the Middle East have withdrawn and combat has become more high tech, the armed forces are shrinking in size and increasing their expectations. According to an article in CNNMoney, the Pentagon currently estimates that 25% of all young people are currently unfit for military service. Obesity, dropping out of school, any minor criminal offense, past problems with drugs or alcohol, and a myriad of medical conditions also make you ineligible for today’s military service. In addition to that screening, new recruits must take the Armed Forces Qualification Test and it isn’t easy. Just 67% of those tested scored in the top 50th percentile. These days, it’s not just the Marines that are the few and the proud: by the time the recruitment process is finished, the Washington Times reports that only 20% of interested candidates are being chosen for military service. If you are one of the few brave Americans to make the cut and be chosen for active military service these days then you will receive an excellent benefits package. This includes a housing allowance, insurance and best of all, a variety of educational services. Vets.Gov tells us that the VA provides service members, veterans and their families with career counseling, tuition assistance, job training and educational opportunities. The Servicemen’s Readjustment Act of 1944, commonly known as The GI Bill, was put into place to help WWII veterans obtain affordable housing and an education after the war. WWI veterans lacked a similar program and the social problems that plagued many of them of when they returned from the war made it clear that something needed to be done for soldiers in the future. The program has been enormously successful and has evolved over time to accommodate the needs of modern men and women. The latest version of the GI Bill is extremely generous. Tuition benefits start after only 90 days of service and reach 100% after 3 years of active duty as long as you have been honorable discharged. The GI Bill can pay up to the full resident tuition at any public school and up to $21,970 at a private institution. The GI Bill also covers living expenses. The living stipend currently averages $1,611 a month but it is contingent upon your zip code so it varies from place to place. In areas like New York City the living stipend can be around $3,000 per month. The GI Bill can be used to pay for technical education and certificate programs as well. Veterans can spend their money on all sorts of programs such as flight school, beauty school, driving school, mechanic school or HVAC repair school. You can also become a licensed realtor, a pharmacy technician, an EMT, policeman, fireman, project manager or computer specialist. There is something for everyone, and since correspondence programs, online education, and classroom programs are all treated equally, everyone has a chance to locate a program that works for them. When Should You Use Your Benefits? You can use your GI Bill benefits to attend school while you are still on active duty but you don’t have to use them. Nearly every base has built-in programs for taking tuition free college classes. Take advantage of those and save your GI Bill benefits for when you get out. Since the GI Bill covers 4 years of tuition and no more, you want to maximize the benefit. It covers living expenses once you are discharged but not while you are active duty. For some people, waiting to be discharged to attend school isn’t feasible. In that case you need to choose your school wisely. Many accredited, non-profit public and private institutions, like Baylor University or Florida International University, have strong programs especially for military, but with the demand, many predatory for-profit companies have jumped on the military-education bandwagon to take advantage. Check your local schools before you invest in a for profit online school. You will save lots of money on tuition and can attend the brick and mortar campus if you are discharged while still attending classes. Even one class per semester would qualify you for a housing allowance. Since active military personal are likely to move before graduation, the ability to transfer credits from one school to another is vitally important. Even in the best of circumstances most schools will only allow you to transfer in 60 credit hours. For this reason alone it might be a good idea to consider an online education. Wherever you are in the world you can continue to attend the same school and transfer credits are never an issue. Most state schools and community colleges offer terminal degrees that can be done completely online. If you enter the military with a degree from a military academy or any other accredited institution your GI Bill can still benefit you! The money can be used to pay for graduate school, medical school, law school, an MBA or to add a profitable certification to your resume. If you perfected a foreign language in the military and are comfortable living overseas, you might be a perfect candidate for an overseas university. Since the GI Bill provides a living stipend and overseas tuition can be free or low, you make the most of your benefits while having a rich cultural experience that looks great on a resume. Strong Work Ethic – Employers value veterans because they have proven themselves to be loyal, hardworking and motivated. They know how to show up on time, follow the chain of command, take orders, and do things right the first time; they don’t expect to go from mail room to CEO in six months. People Skills – Service members have to work in a team, communicate effectively with peers and superior officers and get along under pressure. Being able to follow orders, give orders, and collaborate to find a solution in a complex situation are expected of active duty personnel. Since these skills could mean the difference between life and death they are perfected early on and veterans tend to be very confident communicators and leaders. Critical Thinking Skills – For veterans, especially those who have served overseas, finding answers to problems is all in a day’s work. Employers are looking for people who are self-motivated and able to tackle complex issues without a user’s manual. Being able to assess a complex situation and act quickly and independently towards a resolution is a highly valued skill set! Data Analysis – Employers don’t just need workers with computer skills who can collect and manipulate data, they need people who can interpret it. Being able to look at information and interpret what it means, what needs to happen next and what information may have been omitted is a highly sought after skill. Military personal learn these skills naturally in the field but they are very valuable skill set in civilian life. Adaptability– Millennials are often criticized for being fragile and unable to adapt to new situations. That is not the case with military personnel. Veterans know how to think on their feet, cope with limited resources, adapt to changing environments and situations and engage with new people. Make sure future employers know this about you. The United States military is becoming known for its selective recruiting practices, so having made it into the armed forces is already an excellent job reference these days. You receive valuable on the job training while you are enlisted and can often take college classes for free while in uniform. During your service you obtain a skill set that many of the people entering today’s job market lack including interpersonal skills, critical thinking abilities and a strong work ethic. 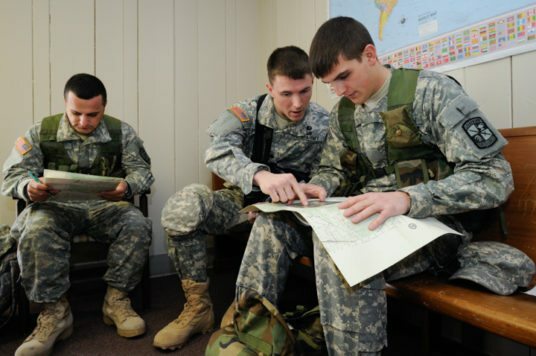 When you finish your service you qualify for the GI Bill which can easily cover the cost of a complete college degree at the institution of your choice or allow you to train for a vocation. 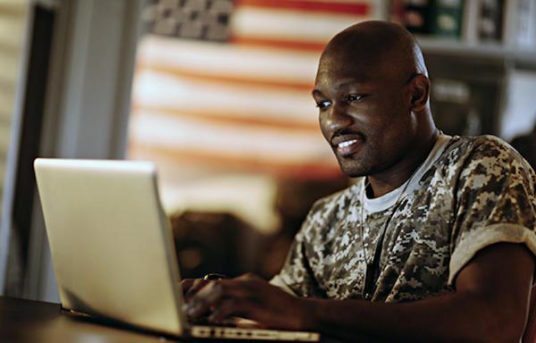 Veterans, especially those with a degree are highly sought after employees in both government and civilian occupations. Serving your country may be its own reward, but the opportunties service offers for life and career are invaluable.